Permasask member Kaitlyn Harvey will talk about her experience at the People’s Climate March in NYC at the Permasask Potluck & Meeting, Nov. 20. Non-profit organizations and small businesses are invited to attend a one-day workshop on Nov. 21 to learn how to operate their buildings more efficiently. Buy locally-made, earth-friendly gifts at the Collectively Green Craft Show, from 10 am - 5 pm, Nov. 22, at Grace-Westminster United Church. Drop by the Meewasin Valley Centre from 1-4 pm, Nov. 22, 23, 29 or 30, to make a backyard bird feeder. The City of Saskatoon is hosting revolving workshops from 10 am - 1 pm and from 6-9 pm on Nov. 26 at TCU Place to discuss the city’s future growth strategies. 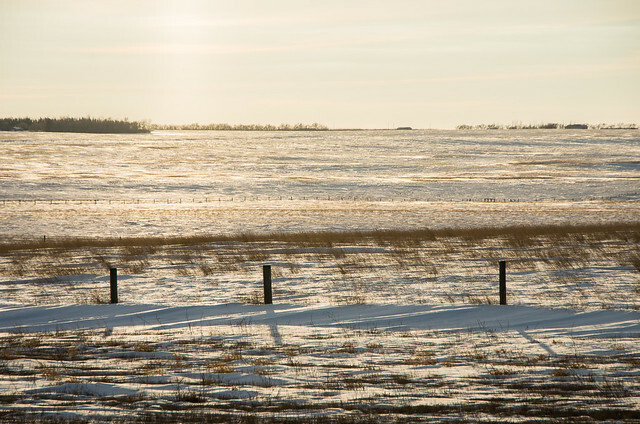 Public Pastures – Public Interests and Friends of the Museum are hosting a fundraiser premiere of Grasslands, a documentary about Grasslands National Park at 7:30 pm, Nov. 26, at the Royal Saskatchewan Museum, Regina. A short trailer gives a taste of the fabulous photography. Grasslands (Trailer) from 291 Film Company on Vimeo. Beaver Creek Conservation Area is open from 9 am to 5 pm, Monday-Friday during November and December. They’ll be open from 12-5 pm daily from Dec. 26 to Jan. 1 with a hike at 2:30 pm every day with an interpreter. The 2015 Native Prairie Restoration & Reclamation Workshop will be held in Saskatoon, January 28-29, 2015. Chris Helzer, The Prairie Ecologist, is the keynote speaker. Topics include invasive species, wild seed harvesting, and wetland restoration. The Minister responsible for the Water Security Agency has said that new drainage regulations are a priority.